One of the biggest gambling markets in the world is none other than the U.S., which sees billions of dollars in revenue annually from the thousands of land-based casinos in the USA located throughout the country, and many top-notch gaming destinations can be located for each state. However, visitors and residents alike might be unsure where to find the top spots. Fortunately, our trusted team has put together a list of the highest-rated casinos throughout the U.S., with each offering slots, table and card games, as well as specialty games. Here are the best casinos in the USA for an outstanding casino experience! Below we have listed our top-choice casinos in California based on game offerings, hospitality and service, player rewards, and also hotel, restaurant and retail options (if applicable). Our team has visited and played at each casino to determine which ones live up to customer, peer and industry reviews. Be sure to check them out! Bar none, the above is sure to give you a leg up when deciding on where to gamble, and each respective location is sure offer the very best in land-based casino experiences. From the gaming tables to the service, big wins are right around the corner. Gambling across the U.S. is bigger and better than ever, and the industry has never been stronger. Think Las Vegas is the only hotspot to gamble? Think again! From the tribal casinos of the Everglades to the largest casino in America in Oklahoma, there are plenty of locales to offer the most bang for your buck. If you’re looking for the best casinos in the USA, you’ve come to the right place! The history of gambling in the United States has had a long and voyage to arrive to where it is today. Starting with the early days of European settlers relocating to what we now know as the good ol’ U.S. of A, games of chance have been around as long as the founding of America itself. Gambling, whether accepted or not, relied largely on the question of morality and etiquette. In some cities, games of chance were favored, while in others, gambling games were frowned upon and strictly not allowed. By the mid-19th century at the height of the Gold Rush, various gambling dens and establishments could be found throughout much of the continental United States; flourishing in cities like New Orleans and moving further to towns like San Francisco, a new hotspot for gambling. The West lured visitors with gambling spots for decades, and this remained the case until the early 20th century brought on stricter laws to curb the lawlessness of the frontier towns. The Prohibition Era made alcohol illegal, and new moral fervor outlawed much of gambling as well. By the 1930s, the construction of the Hoover Dam helped a dusty railroad town by the name of Las Vegas become the new gambling mecca. The American economy flourished after the Second World War, and a middle class with disposable income flocked to the various gambling destinations of the desert by the thousands. The need to entertain and be entertained after the severity of WWII, makes it easy to understand why gambling and casinos became immensely popular by the 1960s. Performers like Sinatra and the Rat Pack and Elvis Presley made it chic to frequent the many new resort casinos created with the help of the mob out in the new desert-based gambling oasis. Atlantic City, New Jersey became the next prominent casino city. By the 1970s and after lengthy legal proceedings, tribal casinos run by Native Americans emerged and became the new hotbeds for gambling. Their expansion continues today, with over 500 Native American casinos in operation across North America. With the new legalization of sports betting, and the shift to online operators, many states are continuing to grow their gross gaming revenue, but more popular than ever are the brick and mortar casinos. Although casinos are not legal everywhere, this factor is slowly changing, and many states are running casinos on a local level, which continue to see a flux of visitors monthly. Unfortunately, the legality of gambling and casinos within the United States is a bit of a grey area, with the regulation concerning each business not always appearing so straightforward. It is worth noting, that while many states and major cities throughout America are host to a plethora of casinos – there are states where land-based casino gaming remains illegal. The reason for this the difference between state and federal laws in the U.S. laws. The blanket law for the majority of land-based casinos throughout the U.S. is that the minimum gambling age is 21 years of age. This is definitely the case for popular hubs like Las Vegas or Atlantic City, however some parts of the US allow for gambling by age 18, although this number is uncommon. Another important factor is that while there are many cities where gambling is legal, it does not mean that the entire state permits the existence of brick and mortar establishments. Another example is that while there is no U.S. federal law banning online gambling, the lack of a law against it does not mean that it is permitted at a state level. This can also be applied to land-based casinos in some instances. Perhaps the most confusing aspect of legalized land-based gambling in the U.S. is that while gambling may be permitted in a state, meaning that you are legally allowed to play, a gambling venue might not be allowed to offer every type of game. In other words, a casino might be legal, but it does not every type of game of chance available. Perhaps the most famous example is states where card games are legal, but slot games are not. As you can see, it all boils down to the state that one visits or resides in. The good news is that there is a wealth of information available out there today, and if you have the itch to gamble, a quick look through our site will tell you what types of casino games are allowed/prohibited for the state in which you are located. In any case, real money gambling is highly entertaining, and if you happen upon your local brick and mortar, the laws and regulations listed for each venue are very transparent. The land-based casino market has been booming since the 90s, and brick-and-mortar gambling destinations remain some of the most popular tourist hubs throughout the U.S. These casinos, big and small, offer endless entertainment with players looking to capitalize on their gaming prowess. Always keep an eye on the game offerings at your local land-based casinos, mind the paytables and pay attention to the house edge for each game. 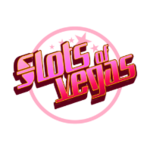 This will give you a leg up in finding something suitable, whether you are slot machine enthusiast or table game fanatic. 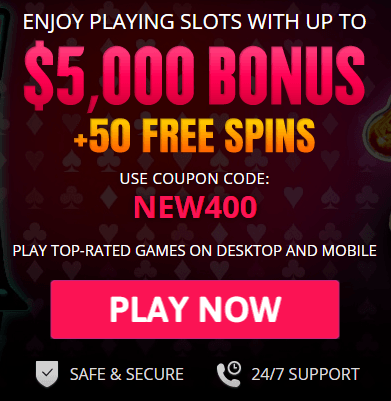 Poker tournaments are popular and often feature main events, or for true games of chance, check the jackpots listed for in-house lotteries and keno for real money winning potential. 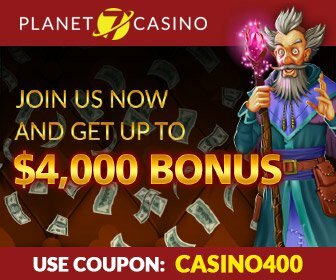 The smartest thing to do is also to sign up for loyalty programs, player/member rewards and exciting bonuses offered by your choice of land-based casino. Member cards give points on the frequency of play, even if you do not win, and an added bonus is to check with exclusive VIP packages listed for each land-based establishment. It pays to play. Popular customer review sites online will let you know whether you are paying too much for room and board at a resort. Hotel accommodation is important for those extended stays or long weekends with the family at a casino. It makes all the difference when you find the right place to rest your head. From resort-level suites to economy rooms, it all boils down to how much you can afford. We recommend travel on the “off season” for room discounts. Browse online to the type of entertainment that suits you; whether it’s dining out at a Michelin-starred restaurant or hitting up a nightclub or live shows with your date. Our lists have it all for the ultimate casino experience. Looking for an online casino in the USA? Lucky for you, you’ll save time and effort finding the right casino by browsing the USA Online Casino site casino directory. In addition to our land-based reviews, our pages display all of the top online casinos available just a click away. We strive to offer players the most comprehensive and informative list of the best gambling operators bar none based on in-depth research. We pride ourselves in being able to provide gamblers with the most current information concerning casino promotions, bonuses, and games. 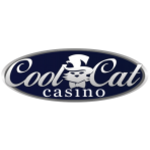 Our list online casinos are the best around.